Live Breaking News! 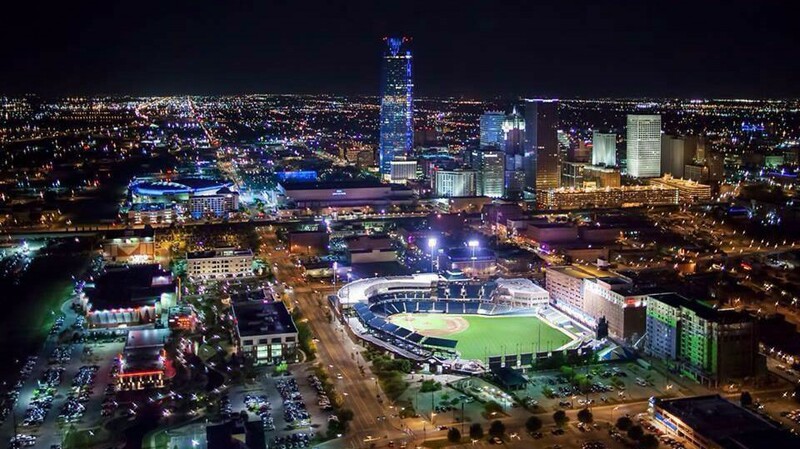 (but first, this word from our sponsor) – oklagator…one man, many things. Now that we have entered an age where technology allows live broadcasting over digital apps like Periscope, Facebook, and Meerkat, with more in the development pipeline, the rush is on to engage social network audiences first and longest, just like what happened with television 25 years ago. I recently took the opportunity to view livestreamed video from numerous news organizations’ social network applications, both live as the action happened and via recorded and archived content, and I observed a number of interesting characteristics of the assorted coverages. The various terrorist activities across the US this week dominated much of the news services’ livestreaming efforts. On Sunday at 12:50pm CST, I was alerted by Twitter that CBSN (CBS News livestreaming channel) was up with live news coverage concerning the St. 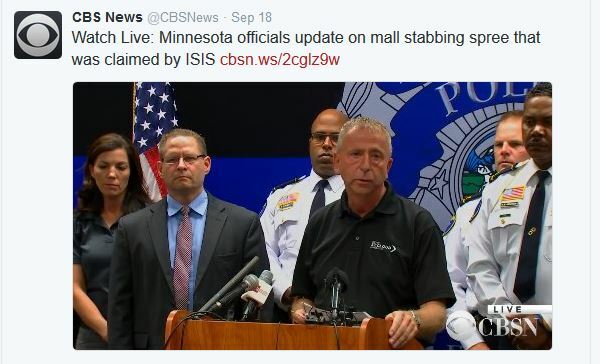 Cloud, Minnesota mall stabbings from the previous evening. 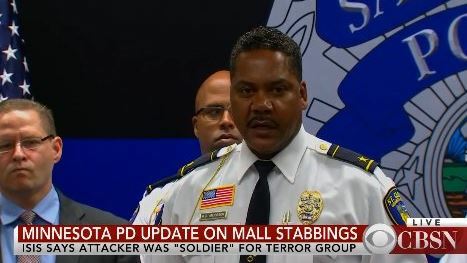 I clicked the included link and was immediately treated to a 30-second ad, followed by a joined-in-progress live shot of a press conference featuring the local police chief and other officials explaining the situation regarding the attack and the takedown of the alleged ISIS-supporting perpetrator by an off-duty small town police officer. The visuals were fairly commonplace, but the video and audio were extremely good quality and even sported lower-third graphics and 2-boxes, which indicates the output was likely coming through a control room and not unfiltered straight from the camera on the scene. 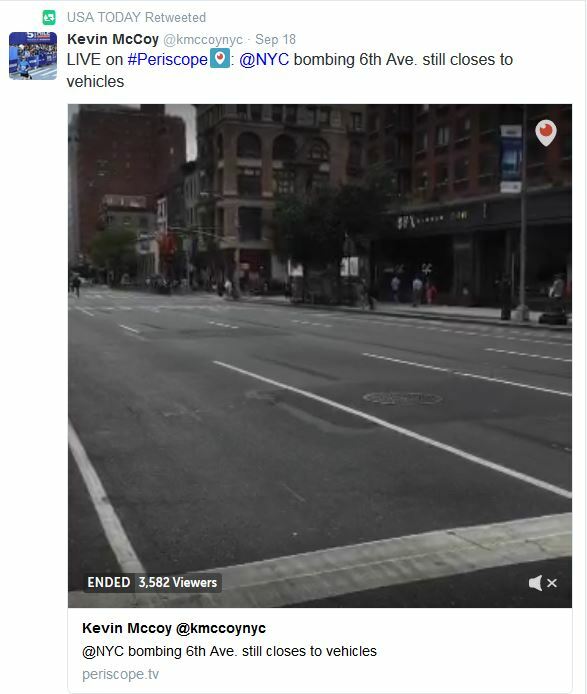 A few moments later, I found USA Today up with a Facebook livestream documenting the real time happenings on the scene in the Chelsea neighborhood of New York City where a bomb had detonated the previous evening. The video was merely a street level, single camera lock-shot but, combined with solely the natural sound of the area, it provided a very accurate depiction of the hustle and bustle of the moment in a very busy crime scene. The viewers were left/allowed to process the content and draw conclusions as they saw fit. USA Today also retweeted livestreams from the audience. I soon went to the USA Today Facebook page and clicked on a recently-archived livestream of a press conference (after an ad that, at least, I could skip) featuring NYC Mayor Bill DeBlasio. Very similar talking heads to the ones I had just seen in Minnesota via CBSN. 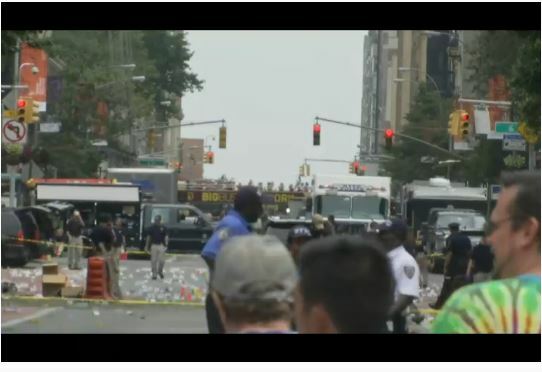 Twitter also alerted me to ABC News livestream coverage of both the NYC explosion (Gov. Cuomo press conference via Periscope) and the Minnesota mall attack (studio show). Of course I had to sit through a 30-second ad first before either stream began. 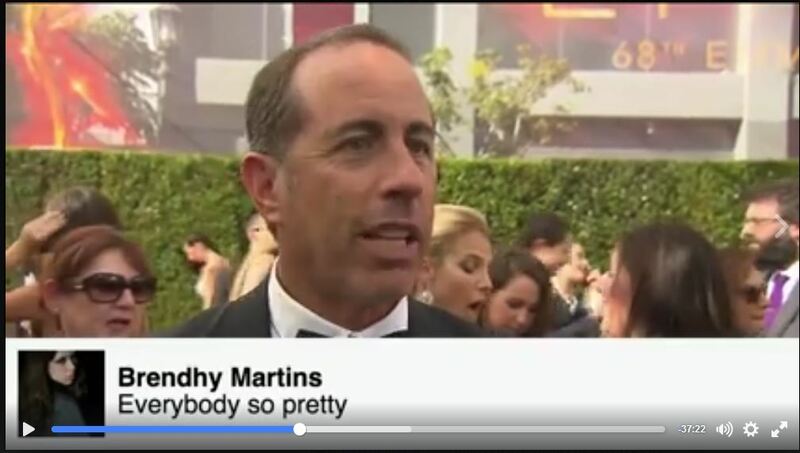 Changing genres to entertainment news, I was told by Facebook that CBSN was livestreaming from the red carpet at the Emmy Awards. Not as slick as the actual show taking place on ABC, of course, but it appeared to be an asset-filled production complete with Cosmopolitan magazine fashion editors in studio and an on-the-carper reporter wrangling A-list talent for interviews. A very interesting twist on this livestream was the use of graphics depicting featured live comments from the rolling cache of commenting social network viewers visible on the side of the screen. 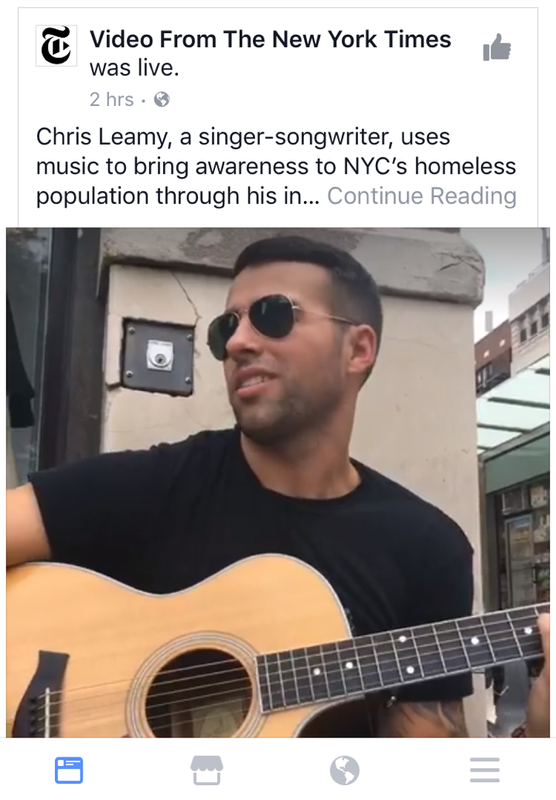 Switching back to newspaper outlets, I viewed the New York Times Periscope feed of a street busker playing music next to a homeless man in order to garner more tips for the man. 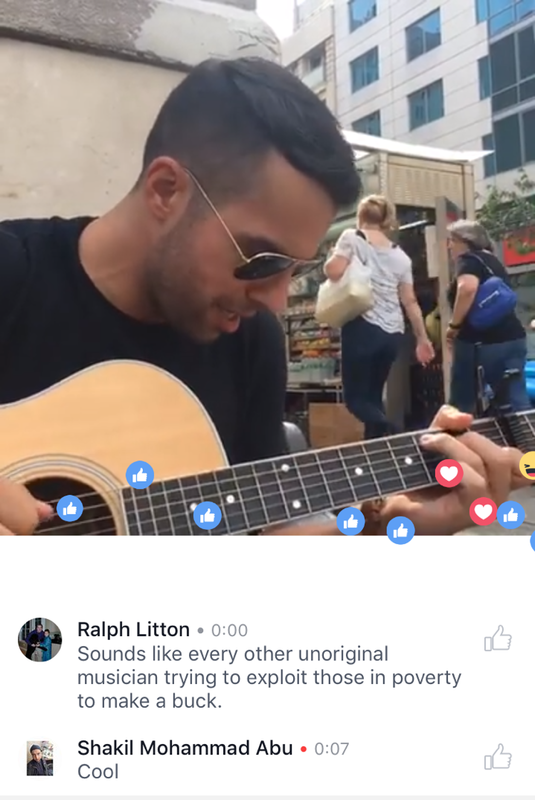 The Times allowed the comments to scroll in real time and the Periscope reaction icons – thumbs and hearts – flowed across the screen. Of all the livestreams I observed, I think this one struck me as the most raw and real and moving – and I did not have to watch a commercial first! 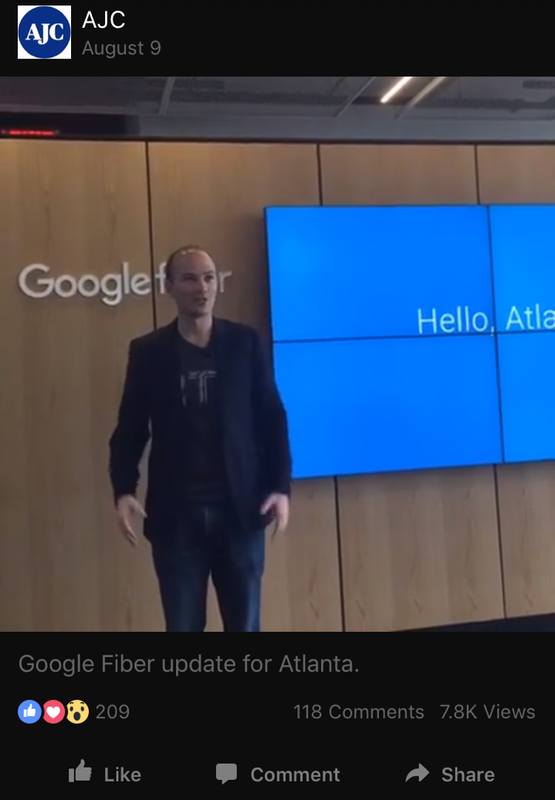 I also viewed an archived Facebook live video from the Atlanta Journal-Constitution of a technical conference of some sort where it was being announced that Google Fiber is coming to Atlanta. The video signal was solid but the quality was hurt by poor lighting and a lone lock shot vantage point. As one might expect, the “native TV” organizations’ product looked slicker than did the “native print” organizations’ product. I would opine that all of the streaming video that I observed was professional, but, strangely enough, I might say that some, perhaps, were even too professional looking, losing a little bit of the rawness that one might subliminally want in a breaking news situation or point-of-view documentation. I believe all of the streams had value for an audience, bringing something of interest to at least some viewers. (I’m sure the Chelsea residents were understandably riveted by that simple lock-shot.) 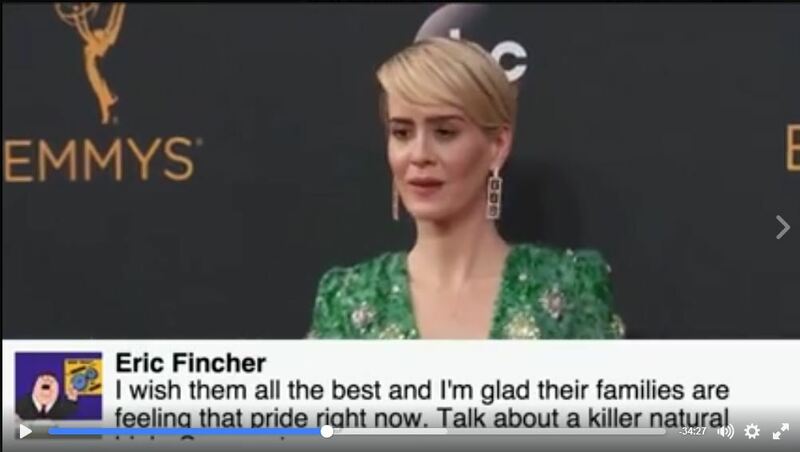 Yet the New York Times, CBSN, and, apparently, even TinyKittens’ Rescue Kitten TV – which had exponentially more viewer comments than any other outlet I checked – place more value on the interactivity of their livestream offerings than do ABC News or USA Today because of the prominence of real time audience comments. If you’re going to provide a service to increase engagement with your audience, you’d better do the most you can to actually engage. 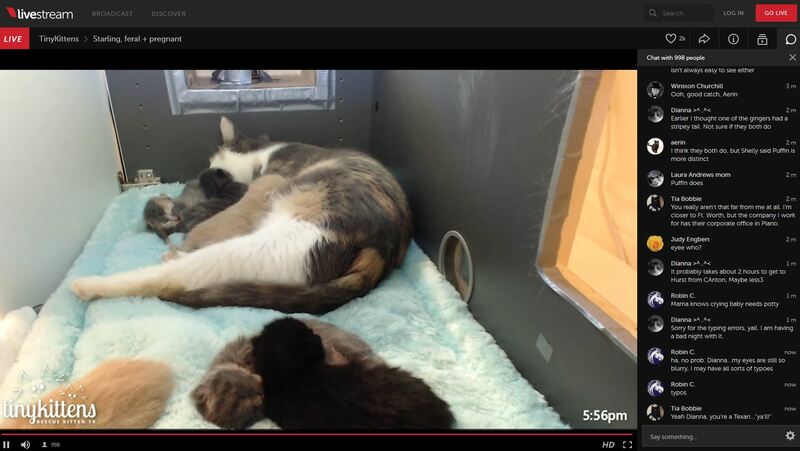 Many news or news-ish outlets have jumped onboard the live-video-over-social-media train, from CBS News to Rescue Kitten TV, so they appear to agree with Mr. Zuckerberg that live video is the way to better, lengthier engagement. We all know that high traffic, shares, and time spent on-site, can drive up revenue for social networks. Yet, just like the traditional media broadcasters of old, they cannot resist the temptation to monetize the service even further and make users first sit through commercial ads, no matter how important or time sensitive the subject matter. Hi Randy! Thanks for your post this week! I thought you did a very thorough job of researching different approaches to live streaming. I actually looked into weather broadcasting/live streaming so I had a completely different experience in my research than you did! It seems that there are so many ways from which we can approach live streaming. One thing that I noted in your post was that the Atlanta Journal-Constitution used a locked shot location for their live streaming camera. I can see where this would really take away from the whole experience, especially where the presenter walks out of the camera shot! The locked shot of the street aftermath of the NY incident doesn’t seem to be as troubling as a viewer because the action comes and goes in that frame. I love that CBS and USA Today are both using live streaming as add-ons to their news coverage. It can really add more depth to a story and provide more of a human element. Really thorough report! Previous Previous post: 9 Cat Colors – Best to Worst: Where does your kitty rank?